Glenn Close was honored by the Museum of the Moving Image at their annual gala in New York on December 3, 2018. On the surface, Glenn Close doesn’t seem to have much in common with Joan Castleman, the protagonist of Bjorn Runge’s The Wife. For one thing, Close never had to sacrifice her career, or neuter her own ambitions, in favor of a husband’s. Anyone familiar with Close’s oeuvre understands the incomparable commitment, intensity, and sensitivity the actor has brought to her craft throughout her 40 years in the film industry. 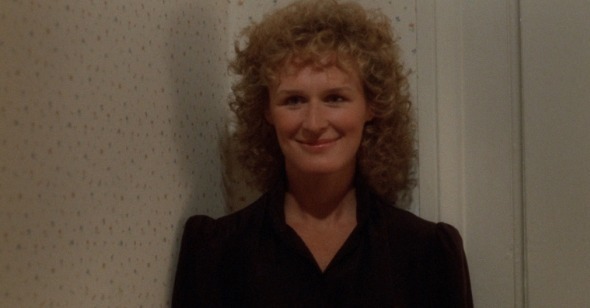 Whether she’s playing a comatose socialite in Reversal of Fortune, or a puppy killing vamp villain in 101 Dalmatians, Close has always generously nurtured her characters with nuance, empathy, and affection, drawing out complicated women who are often sweet and sour in equal measure. Indeed, Close is the kind of actor who excels at navigating the delicate balance between intense physicality, brewing shrewdness, and shattering vulnerability, which is why even her most morally compromised characters nonetheless have familiar strokes of humanity and sympathy. In fact, the actor’s aptitude for throwing herself into a role can no doubt be attributed to her classical theater training, which is less common for American than British actors. And despite being a veteran stage performer, Close also excels at communicating almost imperceptible levels of subtlety, and her characters are at once transparent and opaque because of it. Likewise, among the canon of American actors/movie stars, Close is distinguished by the fact that she landed her first movie role at age 36 in George Roy Hill’s The World According to Garp, followed quickly by her turn in Lawrence Kasdan’s 1983 film The Big Chill, about a group of estranged college pals who reunite over one weekend following the funeral of their friend. Given the perennially youth-obsessed culture of Hollywood, it’s impressive that Close’s talent managed to pierce that myopic bubble, which again speaks to her formidable range, and the ease with which she was able to transition from theater to film. Though unlike the combustible energy she has brought to her better-known roles, here, Close’s Sarah holds her emotions to her chest, composing herself with a simmering, almost agonizing tension that’s hard to look away from—a tension that stems from a deep guilt related to her past affair with their deceased friend. It would be easy for one to label Close’s film career as a repertoire of villains—I myself have been guilty of it—but that’s only because her animated renderings of those characters have become so iconic over the years: Cruella de Vil in Stephen Herek’s live-action remake of 101 Dalmatians, Alex Forrest in Adrian Lyne’s Fatal Attraction, and Marquise de Merteuil in Stephen Frears’s Dangerous Liaisons. (Indeed, it’s the crazy folks we remember the most—after all, what is Kathy Bates most known for, if not for the delusional Annie Wilkes in Misery?) Yet even in these roles Close brings a grounded emotional fallibility to her characters that goes beyond the broad strokes of the archetypal “crazy woman.” Alex Forrest, for example, remains perhaps the most controversial of these characters, given the perceptible misogynistic undertones to a film centered on a unhinged, scorned woman hell-bent on vengeance. Though for all of Alex’s flaws—and boy does she have many—and histrionics, Close still provides glimmers of emotional vulnerability and heartbreak that buffer her derangement. Close is perhaps one of the last actors who could really be typecast, given the impressive breadth and inimitable versatility of her filmography. Case and point: 2018’s art-house hit The Wife, in which Close delivers a powerhouse, if muted performance as a once talented and promising writer who seems to have given it all up. Complaisant and willing to cede the limelight to her accomplished husband, Joe, a narcissistic writer—embodied with casual, and at times prickly, pompousness by Jonathan Pryce—Close’s Joan dutifully plays the decades-long role of supportive spouse, right-hand woman, and all-around career/life-coach, which often requires fielding moments of humiliating, gendered condescension by her husband’s peers. The film opens in 1992 Connecticut; it is the middle of the night, and Joe (the similarity of their names can hardly be a coincidence) has just learned that he has won the Nobel Prize in Literature. Upon hearing the news, Joan, listening in on the other line, briefly registers a blank expression that fleetingly betrays her amicable poker face. As the couple travels to Stockholm for the ceremony, the reasons behind Joan’s placid self-effacement slowly reveal themselves through flashbacks that explain precisely why she gave up her writing career, and why Joe’s impending award seems to reopen wounds that were thought to have been healed, or at least scarred over. As the film progresses in the days leading up to Joe’s ceremony, Joan is forced to confront the psychological and existential toll of her life choices, as a prodding literary biographer—sharply played by Christian Slater—dredges up old family history, and holds a mirror up to her wasted potential. Often relegated to the role of glorified personal assistant, while smiling through it all, Joan is the preserver of Joe’s public image and the gatekeeper of his secrets—but that’s not to say she is docile or a naïve victim. Never one to suffer fools, Joan instead exhibits a vigorous self-containment and vibrant stoicism that makes her character all the more compelling and magnetic in her inscrutability. It’s evident that the wheels are always turning in her mind, and through the subtle intimacy and self-possessed intelligence that Close brings to the role, the film becomes a master class in omission, refrain, and the steely reserve women have often had to adopt in a man’s world. She is poised and always one to choose her words carefully, and it’s hard not to study Close’s face as she studies her surroundings. The perfectly calibrated, robust, and richly textured interiority that Close brings to the role agonizingly communicates the power of silence, and the ways in which a simple glance can betray the tenuous foundation of a complicated marriage built on conciliation and resentment. Yet for all the differences between Close and Castleman, there is at least one striking similarity, and that is artistic acknowledgement, or the lack thereof. Whereas Joan is a pressure cooker living in the shadow of Joe’s success, coming to terms with a lack of recognition by way of being published, so too does Close seem to be waiting in the midst for her due recognition. From her timid turn in Rodrigo Garcia’s Albert Nobbs to her measured Vice President Kathryn Bennet in Air Force One, to the weaponized physicality she brought to Fatal Attraction’s Alex Forrest, Close has demonstrated her deft gift for breathing life into a wide array of cinematic personalities, doing so with both austerity and theatricality that straddles the line between pithy and pitiable, wild-eyed and withdrawn, maternal and Machiavellian. Always restrained while ripping through material, Close remains a venerable vanguard in many respects, and one would be remiss not to mention that she is also one of a handful of movie stars who ventured to the small screen at a time before it was in vogue for marquee names to do so, starring in two FX series, The Shield and Damages. And just like the unbridled, dynamic spontaneity Close used to humanize Alex Forrest, so too does she possess an unpredictable whirlpool of feeling in The Wife. Yet despite their differences, these characters all possess a volatility that is either quietly inhabited, or exhibited for all the world to see.